Many people feel that they need to lose weight in order to become slim and ‘look good’. This is the wrong approach because having a particular body shape and size should not matter as long as the person is healthy. Weight loss should be considered as a change in the lifestyle of a person over a long period of time rather than something which can be achieved as and when desired. The body needs a fixed amount of nutrients and calories every day. The nutritional requirements of the body should not be restricted after a certain extent. Even working out would become difficult if the required nutrients are not present in the body. A proper diet along with mild regular exercise helps to maintain good physical and mental health. What happens in the body during Quick Weight loss? What do you do to lose weight gradually and in a healthy way? 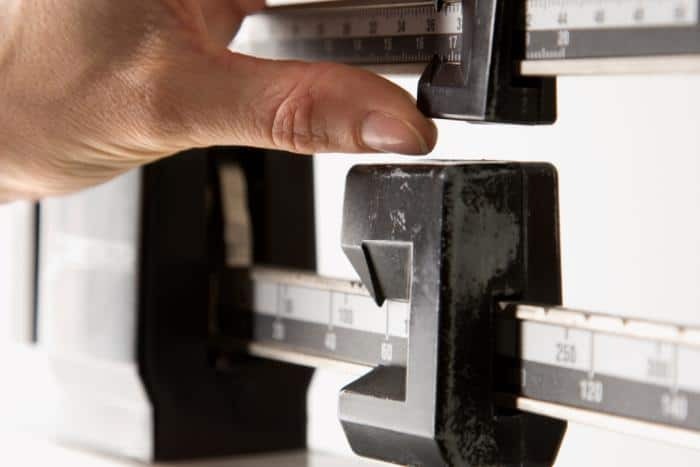 What are the Benefits of Gradual Weight Loss? Studies have proven that diets which cause a rapid weight loss are harmful to health and may cause a greater weight to regain than the weight being lost in the first place. Also, it has been found that the amount of weight regained is independent of the amount of rate at which weight is lost. 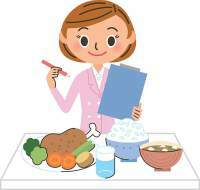 To solve this problem of weight regain after losing it quickly, one solution is to maintain a healthy diet. The diet should include a good quantity of proteins, fruits, and vegetables along with a low amount of fat and carbohydrates. Healthy lifestyle habits should be adopted along with this as well. This simply refers to excessively exercising for long periods of time without giving the body the required amount of resting time. This can lead to a number of problems such as internal injuries, exhaustion and chronic diseases such as cardiovascular disease. Too much exercise can also affect the gastrointestinal tract which may lead to internal bleeding and pain. However, the most severe damage is done to the muscles. This type of workout may even degrade the muscle proteins and affect the functioning of the muscular tissues. A crash diet is a way to reduce weight at a quick rate in a very short amount of time. It involves cutting down calories to an extremely low extent. They are not good for health in the long run because they do allow the body to get the required nutrients including vital minerals and vitamins. Crash diets are particularly harmful to health because they cause starvation due to lack of essential nutrients. Even though it may lead to a successful weight loss, there are many negative effects of it on the health in the long run. These include severe mental health problems like depression and eating disorders like anorexia and bulimia. Studies say that dieting is not entirely bad for health. There are some types of healthy diets beneficial in the long run which include consuming fruits and vegetables along with a high amount of fibre. Skipping meals should be avoided as it causes the metabolism to slow down. Nowadays people have increased the use of diet pills and other supplements in order to lose weight. These pills claim to burn the fat present in the body in a short time. But this is not scientifically proven. Rather, they have been found to cause eating disorders among people using them. Laxatives are substances which induce bowel movements. It has been found that laxatives decrease the body’s ability to absorb nutrients from ingested food. This has degrading effects on health in the long term. Purging is another method of dieting which people use to lose weight in a short time. By doing this, the body will get rid of the excess nutrients and the feeling of hunger will be satisfied. This too can cause certain eating disorders including purging disorder. It can produce various other medical problems as well. When too much weight is lost very quickly, it can show drastic effects on the health of a person. Due to the lack of nutrients entering the body, the people undergoing prolonged unhealthy diets may show the symptoms of malnourishment. The electrolyte amounts in the body may decrease as well. A large part of the weight which is lost in this short amount of time is not fat. It has been found to be the weight of the water present in the body along with the degraded muscle tissues. These are used to release energy in order to save the stored fat for future use. This causes dehydration and weakens the muscles. Not eating a sufficient amount of food induces the feeling of hunger, which turns into depression and other mental health problems if not satisfied. Since less energy is released by the body, the person also suffers from fatigue. There may be a high risk of diabetes in people involved in such weight loss methods. The vitamins and minerals required to run all the processes in the body properly are not present in sufficient amounts during dieting. These further cause other health risks. It should be kept in mind that weight loss is a gradual process. Changes to diet should be made very slowly so that the body gets accustomed to the kind of nutrition which is being given. Crash Dieting should be avoided. These lead to many problems even if done on a moderate level such as a feeling of depression and sadness. Fat-containing foods and snacks should be reduced as much as possible. Also, soft drinks should be completely ditched. Weight loss plateau, which means that the number of calories burnt is equal to the number of calories consumed, should be overcome by increasing physical activity or decreasing the calorie intake. One should incorporate healthy snacks at regular intervals say after every 2-3 hours. This would keep the metabolism fast and help to burn more calories. Regular workouts should be included in the daily routine. It is essential to be physically active to burn fat and remain healthy. As mentioned above, the weight lost during the faster weight loss methods is mainly due to loss of water and muscle instead of fat. To add to this, the weight is gained back and that then is completely fat. A decrease in weight over a long period of time ensures that all the reduced weight is in the form of the stored fat in the body. The quicker ways of decreasing weight do not let the body to become used to the low amounts of calorie consumption. The gradual way of losing weight is a healthy process in the long run. The best way to lose weight is to combine a healthy diet including all types of nutrients in a sufficient amount along with a moderate amount of exercise. Gradual weight loss over a long period of time is thus the better option because it lasts for a long time and hence is sustainable. It does not hamper health in any way.